In keeping with the purple, hot pink and turquoise theme for Little C’s new bedroom, we got to work on some wall art to match her pillows. A new Michael’s craft store opened up in our town, and we shopped there for the first time last week. It was wonderful. I forgot how addicted I was to craft supplies just for a moment. 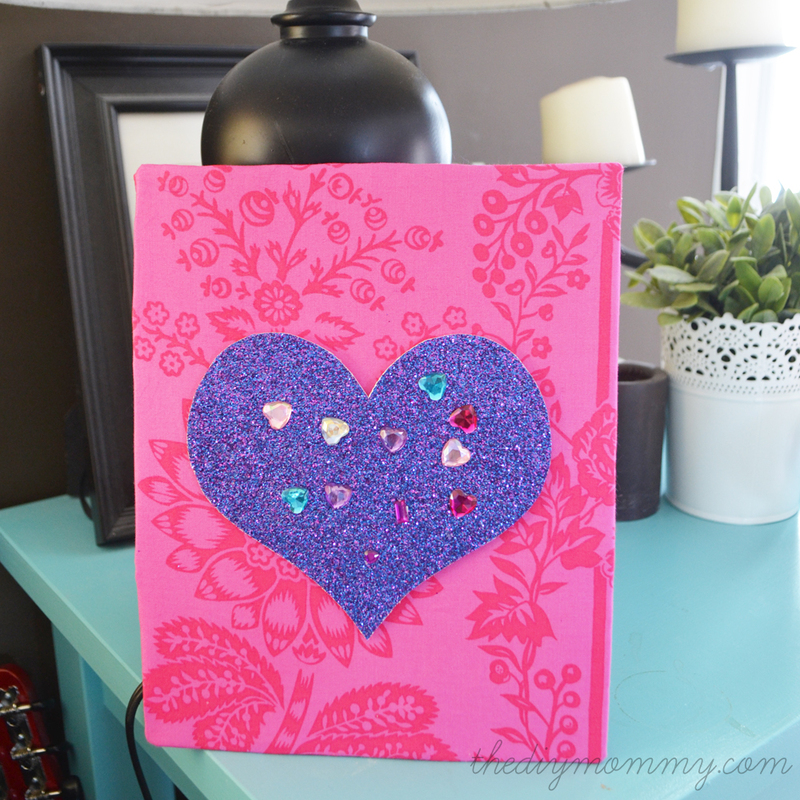 We settled on making some easy DIY wall art for her room with this glittery purple scrapbook paper, some hot pink fabric, some stick-on jewels and some foam board. It was a cute and easy project and we could do it together! Cut an 8 x 10″ piece (or whatever size you want the art to be) out of the foam board (I just used some used stuff that was a little dirty and written on – it doesn’t matter). Cut a piece of fabric that’s about an inch bigger than the foam rectangle on all sides. 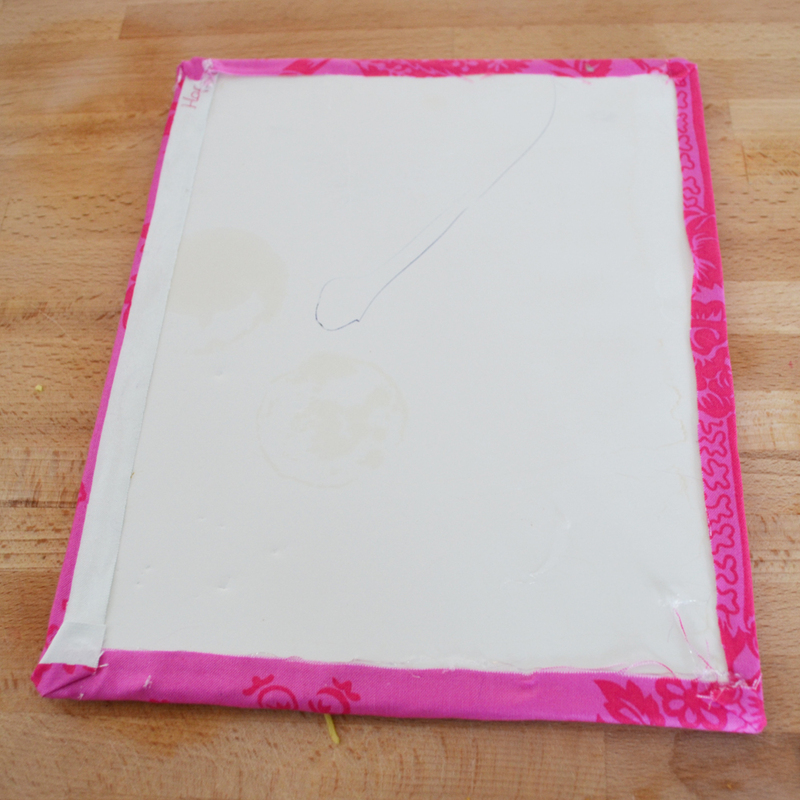 Place the foam board over top with the right side of the fabric facing down and then fold the fabric over to the back of the board and glue with a glue gun. Pull the fabric taught as you glue for a smooth finish. 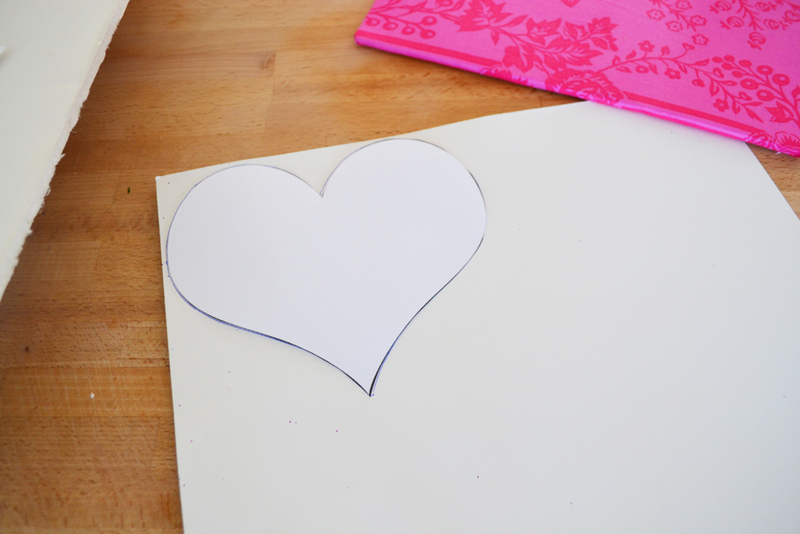 Print a shape on your computer that’s about 6″ x 6″ (we used a heart, and we want to do a butterfly and a flower next) on cardstock, cut it out, and then use it as a stencil to trace the shape on the back of the glitter paper. Cut the glitter shape out. 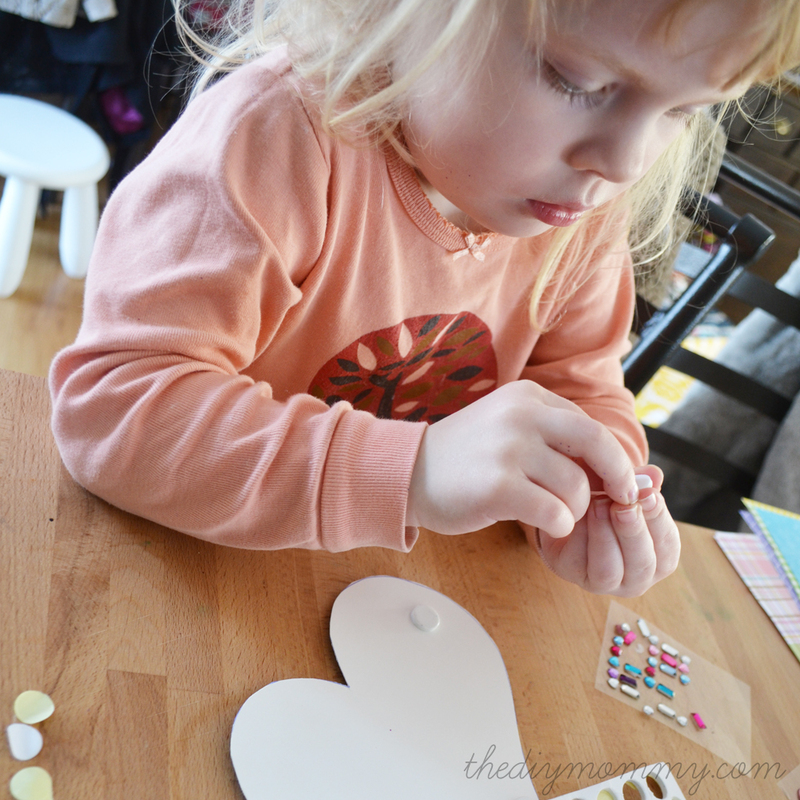 Decorate the shape with stick-on gems (this is a great job for a kid!) and then stick some of the pop dots on the back of the shape. 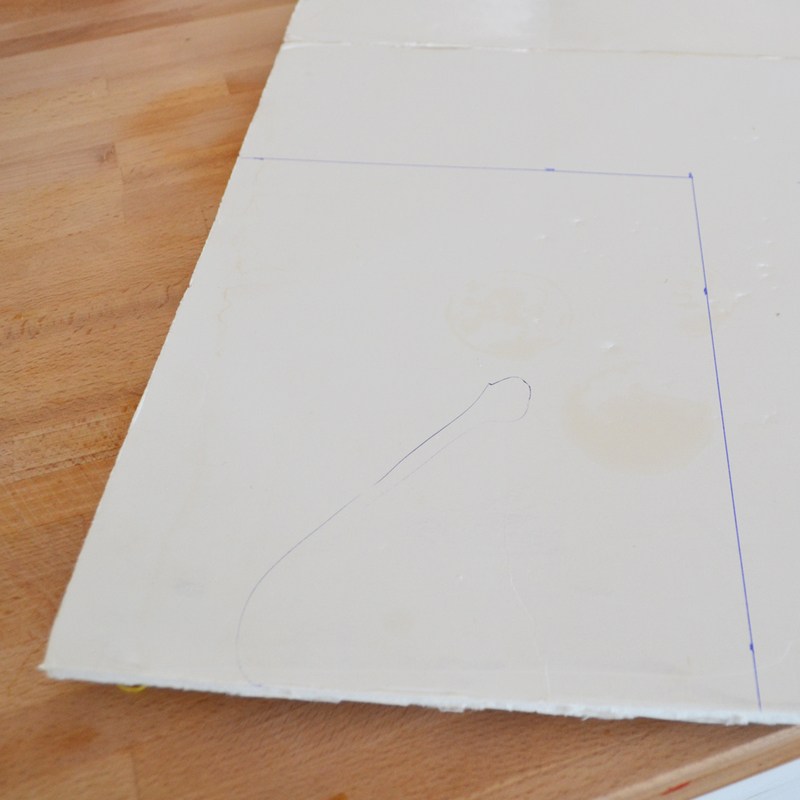 Center the shape on your fabric-covered board and you’re done! You could put the art in the frame, or attach it to a wall with wall-friendly adhesive. 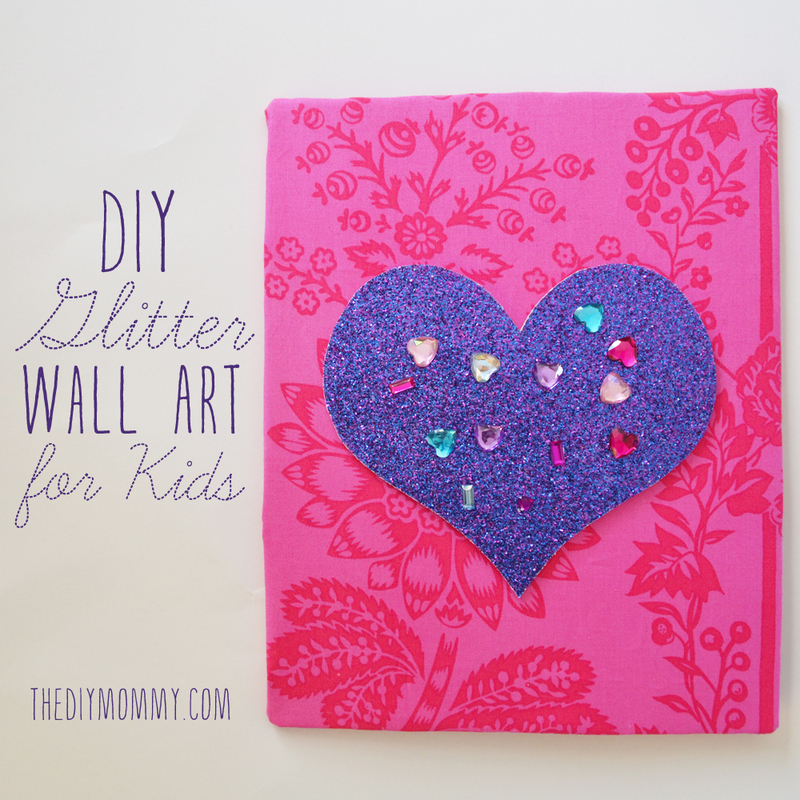 It’s sparkly, easy and fun art that you can make with your little one for their room! 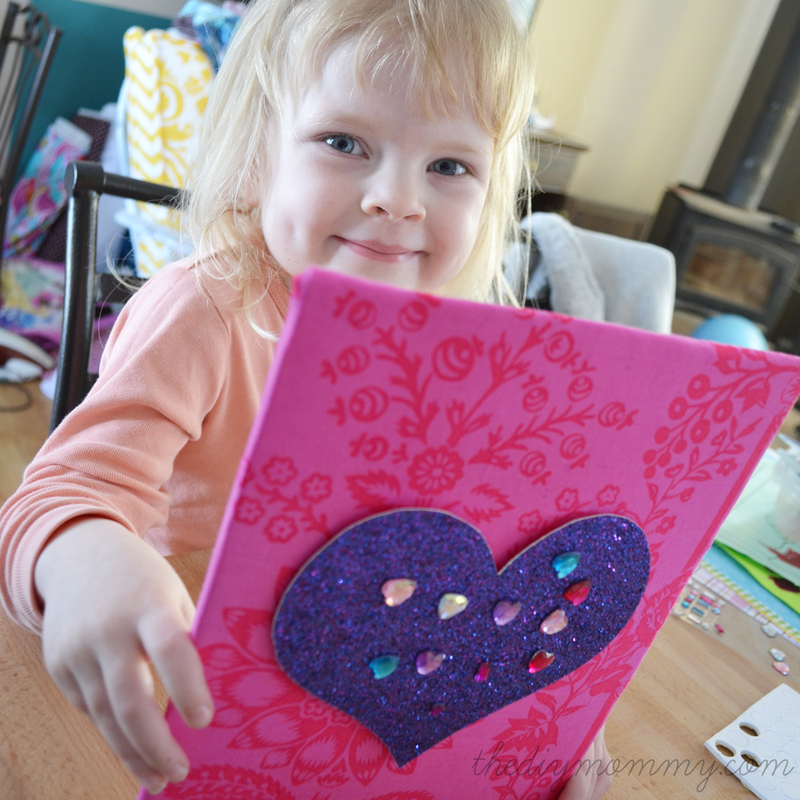 Little girl is looking so sweet and the DIY wall art project you have shared that have beautiful look and quite easy for making, this is really a great project. thanks for sharing this easy tutorial. kristhud recently posted..Do you actually love canvas prints? Helpful news for Educated persons. Let me bookmark your website and share to social networking profiles. The little girl look like as my Daughter. Its so cute and the ideas of Gift is also Fabulous. Affirm looking goals and unmatched perform. Genuinely perfect subtle elements. It has an unmatched profound respect. ensured of appreciation is all together to position vitality in it.